Watch the videos above to learn more about our most recent propane rail terminal build for Crestwood Services in Montgomery, New York. Superior led all efforts in the design, engineering, permitting, construction, startup and commissioning of the terminal. The facility, one of the largest in the country, occupies 20 acres and is equipped to store over 280,000 gallons of propane. Superior provided all equipment necessary for the build of the terminal that contains 16 rail offloading stations on a continuous platform, operating two switches per day, which ensures a capacity of approximately 100 trucks per day or a volume of 1 million gallons. The four-spot truck rack with turbine pumps loads four trucks in 17 minutes, reducing wait times during peak winter months. Learn more about our midstream capabilities by clicking here and view our complete midstream and industrial catalog by clicking here. 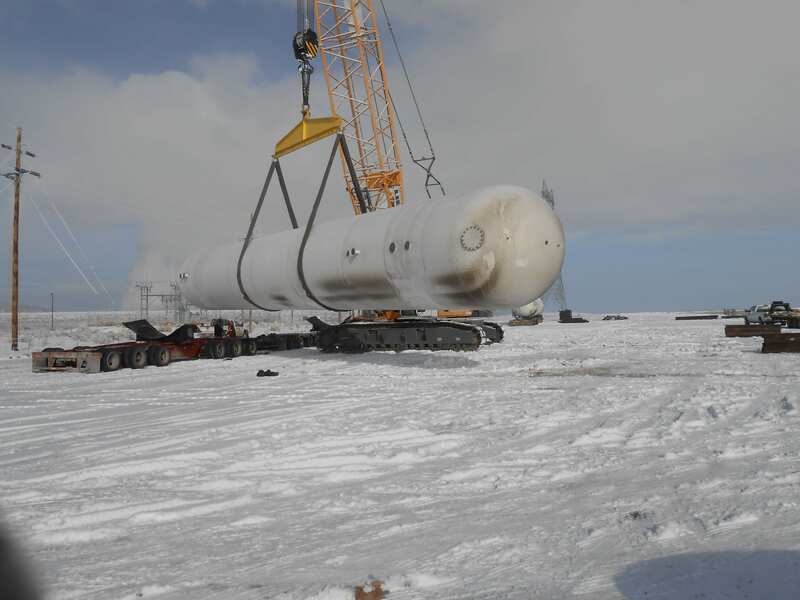 A propane terminal, or tank farm as they are often called, commonly refers to a large propane storage facility supplied by either rail or pipeline, and in rare instances by barge or ship. These terminals are designed and located to fill gaps in the pipeline supply infrastructure to get propane where it needs to be — to homeowners, businesses and farms. We strategically engineer and build fully automated, secure and safe propane terminals that play a crucial role in efficiently delivering propane to underserved markets. Watch this video to learn more. 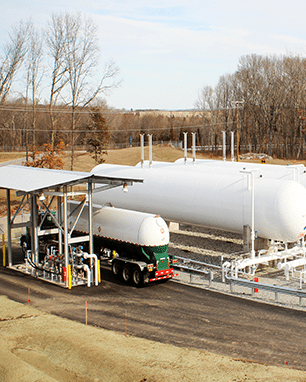 Each of our rail- and pipeline-supplied propane terminals are fully automated and can operate 24/7, making it easy for transport trucks and bobtails to fill at any time. Plus they are efficient, filling a transport truck or bobtail in 20 minutes or less, and multiple vehicles can be loaded simultaneously. 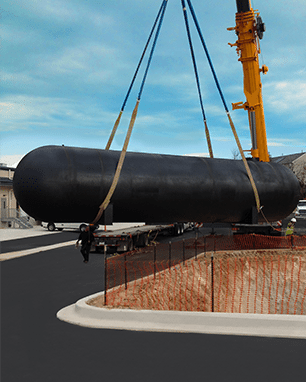 Each propane terminal has unique storage and system requirements met by utilizing tanks of various capacities from 30,000 to 90,000 gallons. Click here to learn more about our turnkey project management for all types of terminal builds. 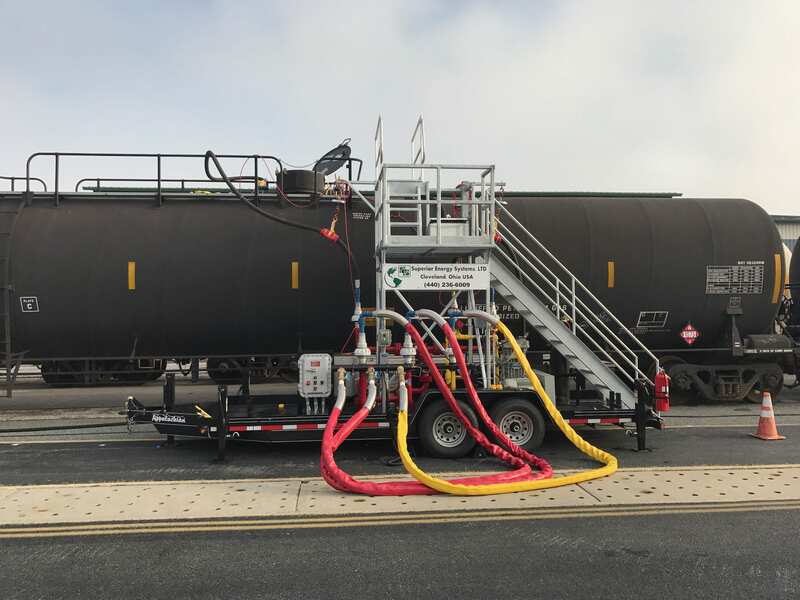 A rail-supplied terminal, also called rail in – truck out, is the most common type of propane terminal throughout the United States. Propane is transported into the trans-shipment terminal via railcars that carry in-excess of 30,000 gallons each. Propane is stored in tanks at the site and loaded into transport trucks and bobtails for delivery further down the supply chain. 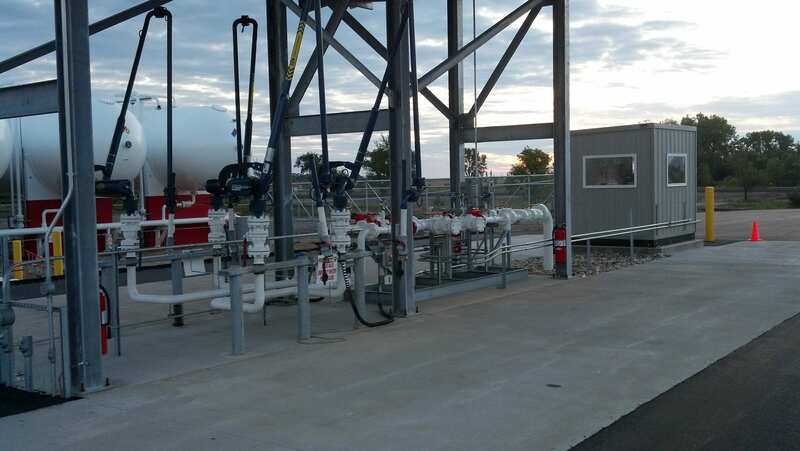 Our rail-supplied propane terminals feature dual-sided rail towers with retractable arms that can efficiently unload two rail cars, including all vapor, in only two hours. We have designed hundreds of these systems. Our customers include: Farm & Home, Niagara Energy, LLC., Crestwood, CHS, Targa Resources, Plains LPG Services and Quarles Petroleum, Inc. 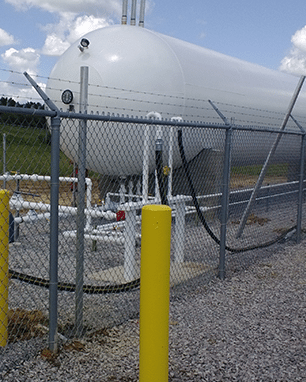 Pipeline supplied terminals receive propane, butane or other NGL’s form either a dedicated pipeline for these various NGL products or from a pipeline carrying multiple or refined products such as gasoline or diesel. These multi product pipelines sometimes “batch” propane to serve the needs of a particular terminal. 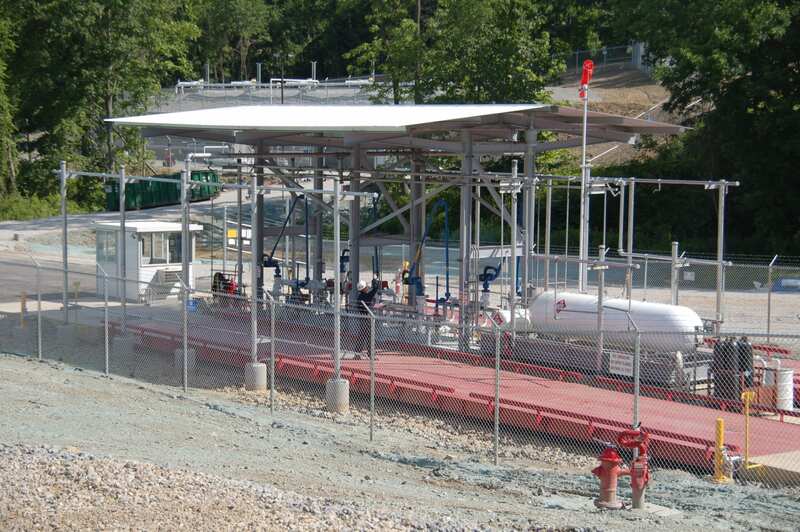 Our pipeline-supplied propane terminals have a direct pipeline connection, and remote start-stop control and level monitoring. 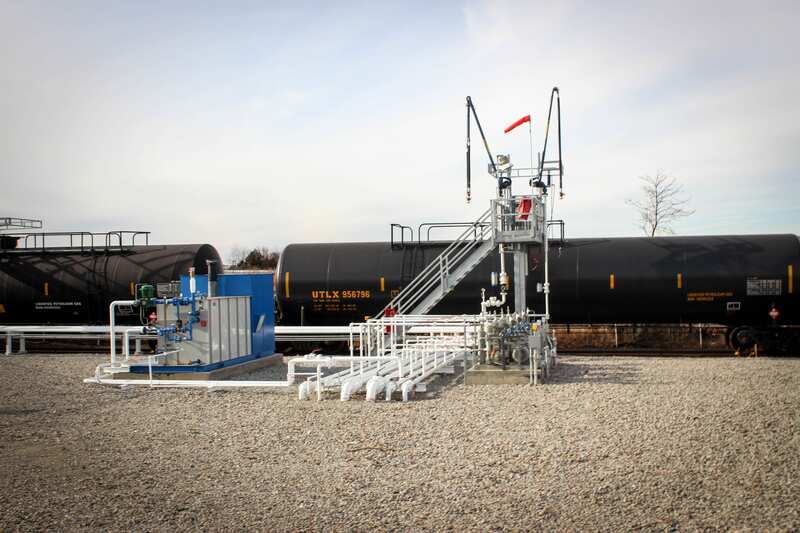 You can learn about our our pipeline in – truck out projects with Duke Energy in LP Gas magazine, read this example with DCP Midstream or check out this bylined article about building a terminal in Midstream Business. 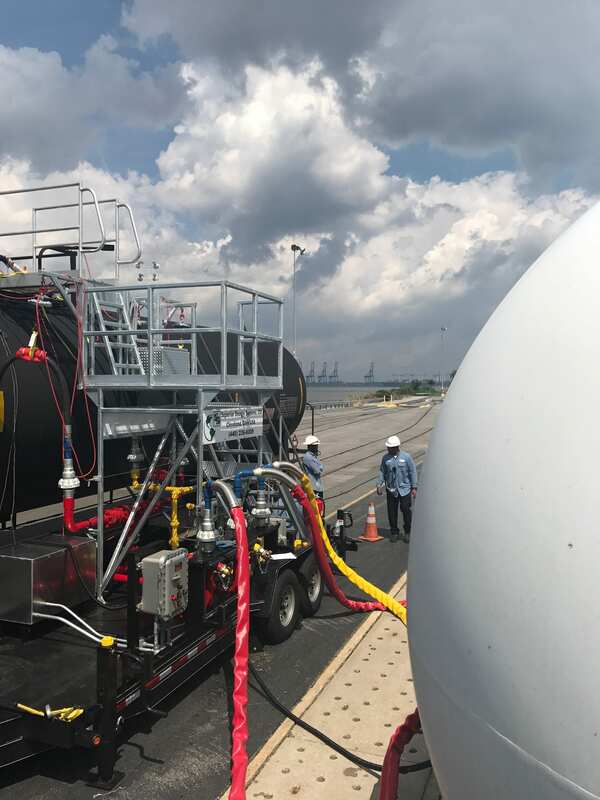 You depend on the efficiency and safety of your equipment to keep shipments of propane and other natural gas liquids moving to meet your customer needs. 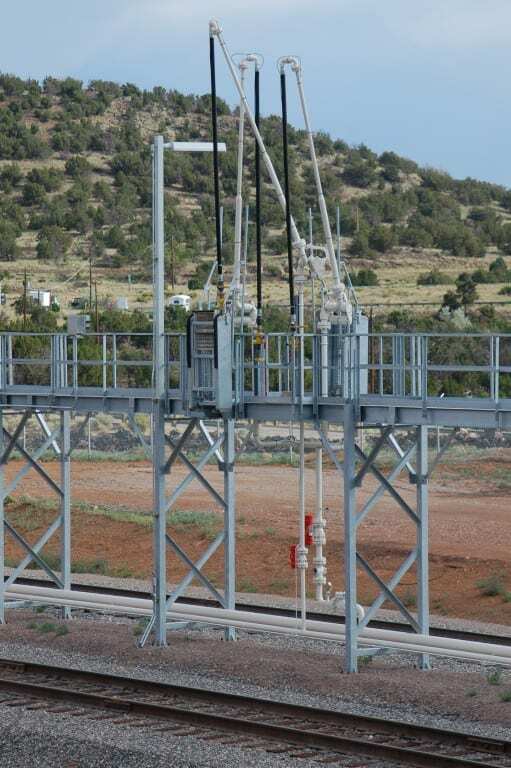 Our portable rail towers, or transloaders as they’re often called, are custom engineered to be safe and dependable and increase the efficiency of your operations. Engineered to U.S. Transportation Department requirements, our transloader is the only unit that is total code-compliant. All transloaders feature remote pneumatic/electronic shutdown, pull-away protection for both rail and truck, leak-free breakaway protection, quick evacuation connections and remote emergency shutdowns, required by code. They can be chassis- or trailer-mounted, and configured for single or multiple rail cars. Whether you need a quick, on-site installation or a long-term solution, our trasnsloaders can be easily set up anytime and anywhere. At a fuel transfer rate of up to 10,000 gallons in 30 to 40 minutes, they are efficient and dependable. Bulk plants are ideal for unloading railcars, fueling your bobtails and filling thousands of cylinders a day. We custom-design retail bulk plant facilities to your specific requirements. Whether you are building a new bulk plant or need to make changes to your current plant, our staff has decades of experience to help meet your needs. Existing facility upgrades can make a big difference in plant performance. We can update your bulk plant to meet current compliance codes, increase storage, add rail towers, create greater pumping capacities and more. We also can relocate your existing facility — whether to consolidate multiple plants or move to a new location to gain rail access. From the first plans to the final product, we will guide your team at every step. Odorant skids provide the ability to inject specific quantities of ethyl mercaptan into non-odorized propane. We manufacture a skid mounted odorant injection system with or without product containment structure. The controlled metering system provides a documented record of the amount of odorant added, per code requirements, to a given quantity of propane. 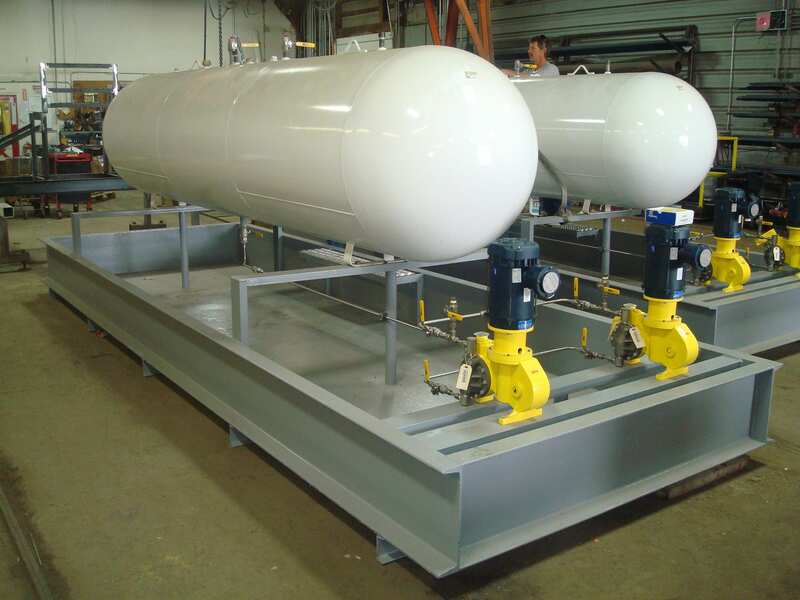 We engineer a metering skid that can be dropped into your current loading configuration, maximizing the capabilities of your existing system. It can be as simple as a BOL ticket meter or include advanced features such as the ability to link to your inventory system or billing department. It can also be equipped to allow only pre-approved drivers to load vehicles. We maintain a full inventory of spare parts used in the fabrication of our equipment, as well as most commonly ordered spare parts and kits. If you’ve purchased a system or specific equipment from us, we have spare parts readily available. We can also provide you spare parts lists and engineering assistance to help determine what part is needed. If you purchased equipment from another supplier and are in need of replacement or service parts, we can likely assist you as well. Before you order a new propane tank for your project, consider saving time and money with a used tank. 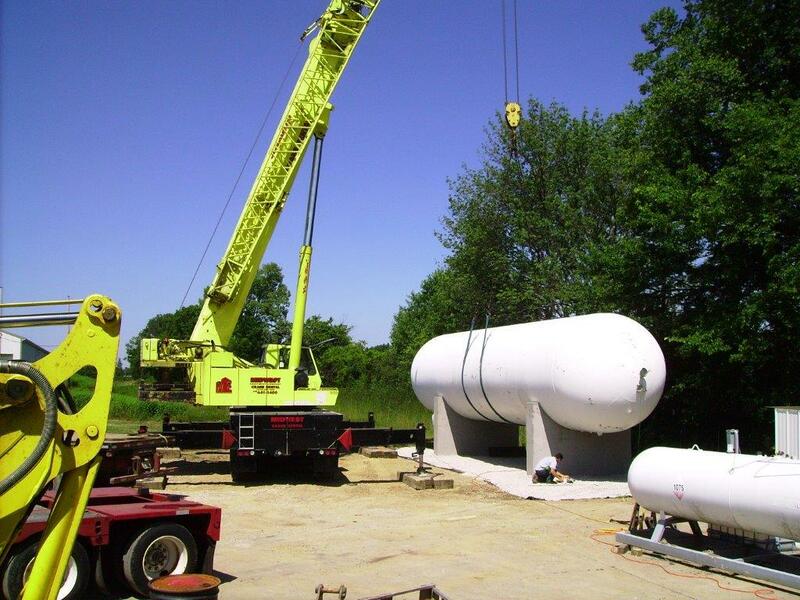 We often acquire used 18,000 to 90,000-gallon tanks when propane plants are dismantled or taken out of service, which may be ideal for your next project.